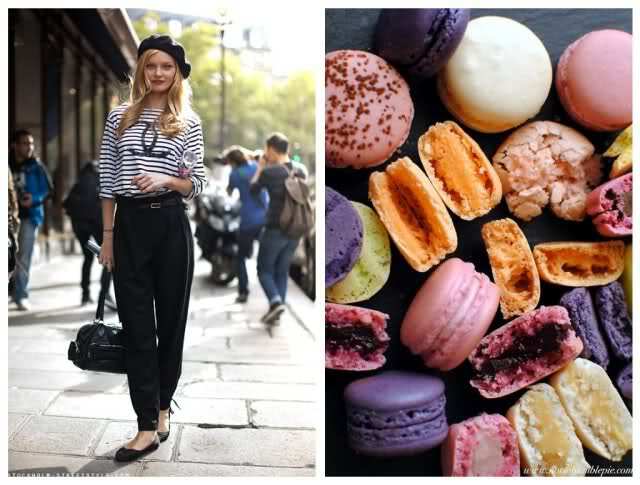 Two of my favorite things are: Parisian style and French macarons. The women of Paris dress with a beautiful simplicity and elegance. I envy how they make it look so effortless. However, the same can not be said for their pastries. Their famous French macarons are decadent, loud, and so tricky to make. Combine the two together and I'd say you have the perfect combination of taste! This is perfection, Taylor. I love all things pretty and Parisian... Those macaroons are super pretty and of course look so delicious -- and these looks are absolutely amazing! totally agree with you. If you love macarons, you should check the ones from Gerard Mulot in Paris. I so love them! Ohhh Paris!!! I love Paris! I was there one month ago and from then I just want to come back.... French macaroons look delicious!! beautiful! i want every outfit here...and every macaron. Mmmmmm, Paris. Now I want macaroons & a cappuccino overlooking the Seine. Delicious. A girl can dream, right? Absolutely love this! The macarons are so beautiful and compliment these styles perfectly! This is all so fashionable and so delicious! I am a macaroon addict... I never knew they came in so many colors! YUM-O! Love how you paired outfits with food! Adorable. Oh I love when you pair outfits to food! So dreamy and delicious!! french macaroons make my heart beat faster. i love them so, so, SO much. my friend's birthday is coming up and i'm going to make a batch for her in all the colors of the rainbow. i'm so excited! great post :D so cute! I really love this post! Such pretty outfits and the macaroons look delish! Great collage Taylor, so creative! Love the white dress! Love the comparisons! Food and fashion go together so well! I've been trying to find a chanel shirt like that on ebay! I am obsessed with macaroons (and cupcakes)! I especially love the all white outfit in the street! 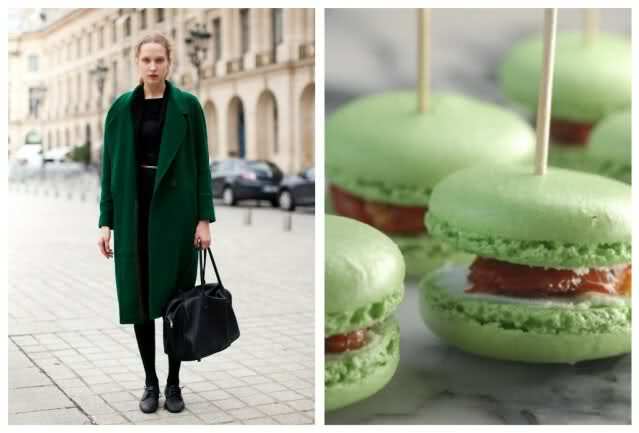 I just love macaroons for their lovely colors and French women are so chic! They just are. Mmm.. now I really want a macaroon!!! I just adore your 'style to savor' posts, so dang clever juxtaposing fashion with sweets! Two of our favorite things as one! Macaroons are the BEST!! Great post! The great pics of the macaroons rule this post! People should post more photos of food next to clothes, perfect combination! This post is adorable!! !great photos! mmm i love macarons but most of all i love their fun colors :) thanks for the comment! You should come to Paris for Fashion Week Taylor!!! This might speak badly about my eating habits, but you are tempting me with the macaroons! Such a sweet post! I love it!